Macarons are the aristocrats of pastry; these brightly coloured, mini meringues, daintily sandwiched together with gooey fillings, have become a holy grail for cookery fanatics and there are even food blogs dedicated to them. Pierre Herme is a man at the top of his art and there is no question his macarons are in a league of his own. Now for the first time, all the macaron recipes from this most celebrated French patissier are published in English. There are 200 pages of recipes and beautiful food photography, and because making macarons is mostly about technique, rather than just a standard recipe, readers will appreciate the 32-step-by-step photo-illustrated instructions for making shells and fillings. All the classics are here like dark chocolate, praline, coffee, and pistachio, but others feature the more unusual macarons that Herme is justly famous for: Isfahan is one, with lychee, rose and raspberry, Arabesque with apricot and pistachio, Satine with passion fruit, orange and cream cheese, Mandarin and pink pepper, black truffles, balsamic vinegar as well as a bright-green macaron filled with fresh mint. 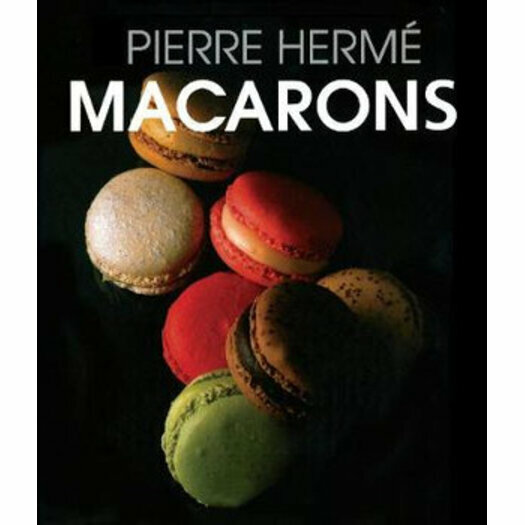 Anyone interested in making macarons will find Pierre Herme's the best book in print.